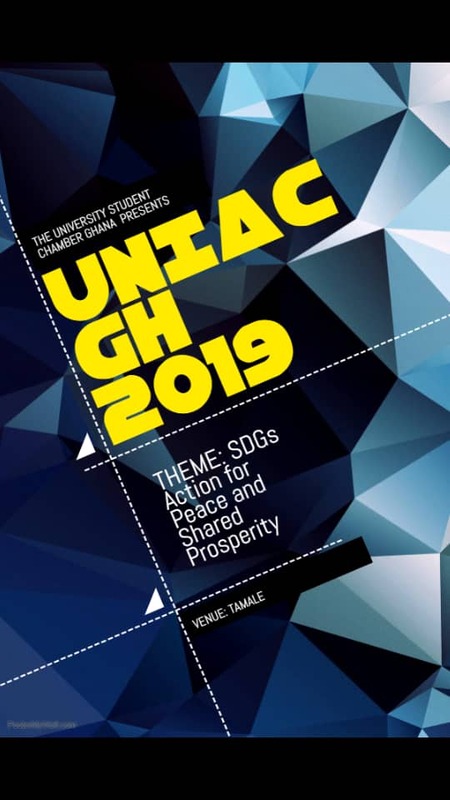 UNIAC GH 2019 aims to bring students from various nations to evaluate the progress of nations in pursuit of UN’s SDGs and propose solutions. 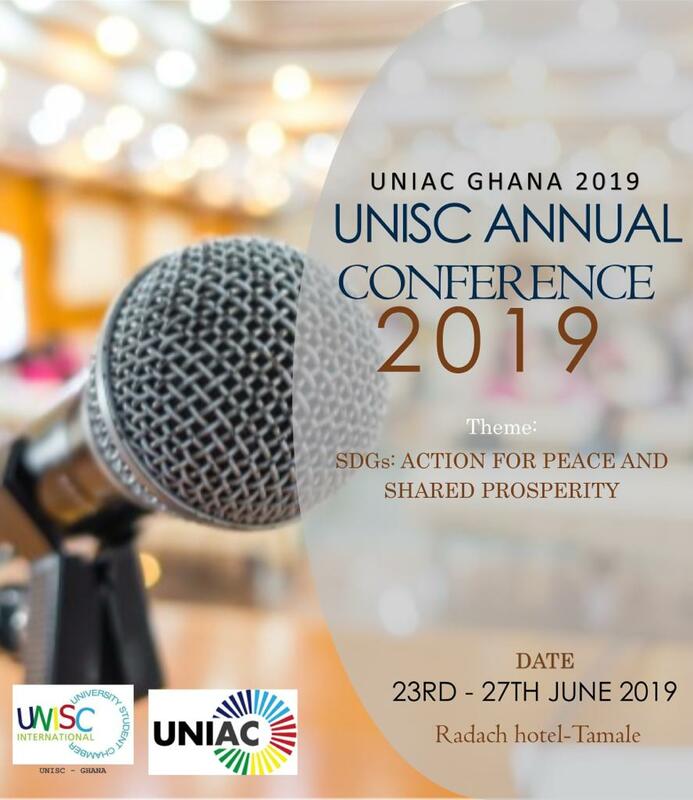 UNIAC GHANA 2019 is scheduled to take place in Tamale from the 23rd of June to the 27th of June, 2019. It’s a 5-day program. Our choice of Tamale for the Maiden Edition is to have a great start to have a feel of the relevance of the SDGs as it’s absence in that part of the country is highly felt. It’s relatively less developed. We are expecting to have about 55 foreign Nationals attending the conference. Among these will be delegates from 11 selected countries, attendees from other UN member countries, UNISC-Japan Representatives and potential Investors and development partners from Japan. There are two ways of participating in the event. Either you participate as a Delegation or as Attendee. (a)There are 11 selected countries from which delegates MUST hail from. All applicants from these countries must apply as delegates. They are; GHANA, BRAZIL, JAPAN, RWANDA, NIGERIA, SINGAPORE, MEXICO, SOUTH AFRICA, BENIN, NETHERLANDS and TUNISIA. Delegates must be in a group of 3 people. (President, Vice President and Secretary). Delegates from the 11 countries will evaluate present the SDG initiatives in their home countries. The delegates will discuss whether and how various actors such as companies and young people should tackle the goal. (b)All applicants outside the 11 Delegate Countries MUST apply as Attendees. Attendees will evaluate present the SDG initiatives in their home countries in writing. The Attendees will discuss whether and how various actors such as companies and young people should tackle the goal. Prominent speakers have also been invited as guest speakers to deepen knowledge and discussion. The most basic aim of the program is to have delegates of various participating countries evaluate and present progress report of how their respective countries are faring in pursuit of the United Nations Sustainable Development Goals as well as propose concrete solutions to the problems that countries do face in their attempt to attain the global goals. Another essential reason underpinning UNIAC GHANA 2019 is the brainstorming of all delegates and attendees to come up with Action Plans which will be presented to various countries and the United Nations to serve as a policy proposal specially drafted towards SDGs attainment. The conference consists of an Outreach and a donation exercise to the schools around the venue of the program, it also includes a day for presentation by the various delegates from participating countries on the progress and challenges of the SDG’s in their country. On the final day of the conference, an Action plan will be drafted by all participant countries and submitted to the United Nations. We are hopeful that this will go a long way to benefit each of these member countries especially our country Ghana due to the efforts we are making to attain the SDGs by 2030.
c.Dates: 23RD June – 27Th June 2019.
d.Venue: Radach Hotel, Tamale, Ghana. Accomodation, feeding and internal transportation is catered for by the University Student Chamber Ghana. Participants are to pay for their own transportation from their home countries to the city of the event. iii.If applying as an Attendee, click on the link beneath “Find attached required Documentation” numbered ‘2’ under the heading “Application as Attendee”. v.The application form for attendees will automatically be downloaded unto your device. vi.Here, there are two ways. A.Create a new word document titled UNIAC GH 2019 APPLICATION and enter responses to the questions in the application form in the same order that they appear in the form. Attach all relevant documents. B.Using appropriate application that can edit PDF Documents, enter your responses into the spaces provided in the form. Attach all relevant documents. viii.You should receive a response confirming that you have applied for the conference in less than 24 hours. iii.If applying as a Delegation(Group of 3) click on the link beneath “Find attached required Documentation” numbered ‘2’ under the heading “Application as a Delegation”.